We welcome guests, send friends! There is nothing better than having your wedding day in the right place. Come and join us to make your holiday unforgettable. We are expecting you! 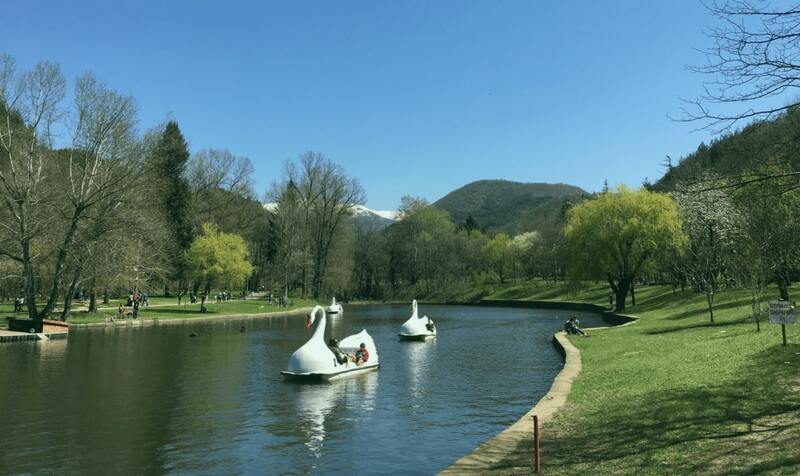 Do not miss the opportunity to enjoy and relax in the beautiful atmosphere in the nature near to our hotel. WELCOME in Hotel “Park Bachinovo”! – an amazing combination of luxury and quality! 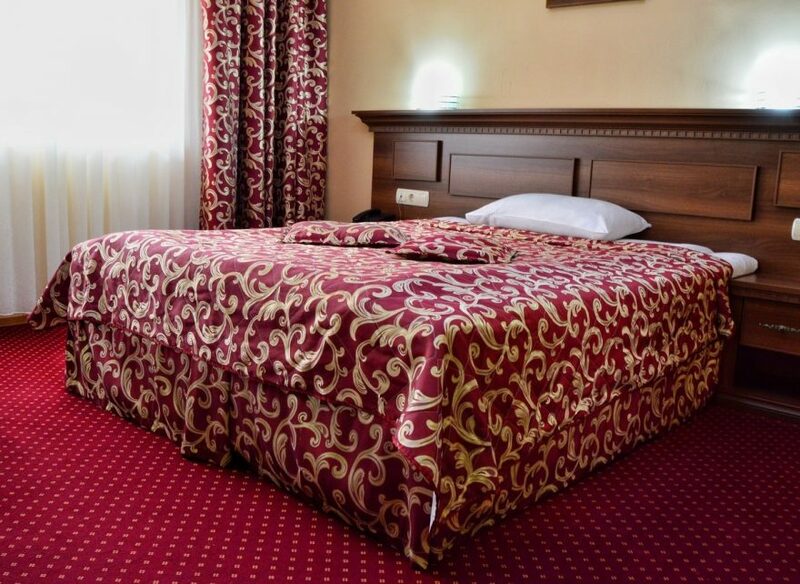 Just a few kilometers from Blagoevgrad, we offer you to visit the place where we combined for you the wealth of the wild nature with the comforts of the most modern achievements in the hotel industry. A desirable place for lovers, newlyweds, for families and whole families Here in Park Hotel Bachinovo welcome guests, send friends! "A heartfelt thanks to the whole team at Hotel Park Bachinovo! With your help, we were able to make our wedding day unforgettable. Everything was at the highest level! Special thanks to the manager Dimitar Mihov for responsiveness and support! I have no words to express my admiration of his professionalism! We wish you many successes, smiles and still satisfied customers!" "Very sophisticated and stylish setting. Quiet place and beauty everywhere you look. And with a pleasant company remain unforgettable memories. I would go over and over again ..."
"Excellent location, friendly staff, stylish furnishings, perfect cleanliness. I recommend!" We offer to our guests beautifully furnished rooms and suites, a superb restaurant, a panoramic bar, a garden with a barbecue, a breathtaking terrace, a conference room, a relax zone, free guarded parking and free internet, indoor and outdoor playground. Access is also provided for disabled people. 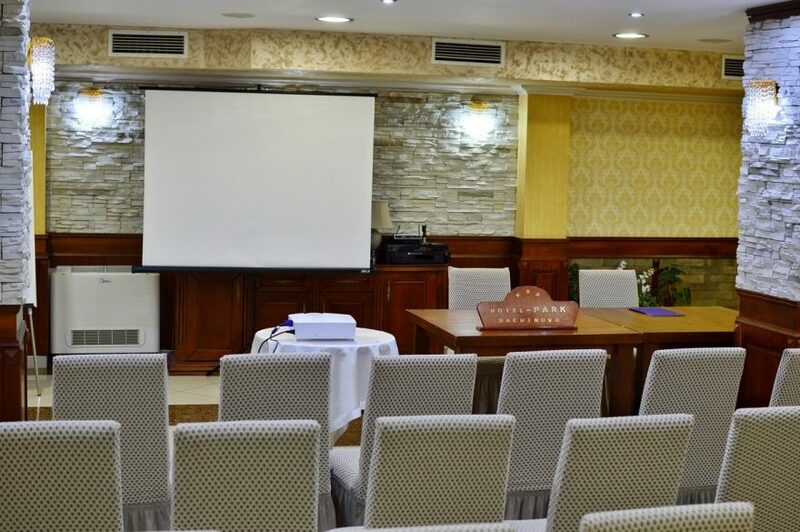 For your seminar, presentation and conference, we have a multifunctional hall equipped with state-of-the-art equipment of the latest generation. The capacity of the hall is up to 60 seats, type cinema. In the "Bachinovo Park" Hotel you will find the most welcoming and perfectly trained staff for your good mood. For your corporate party, wedding party or meeting with friends, the hotel has a live orchestra. Enjoy our delicious food, good music, and all this served in a pleasant atmosphere! 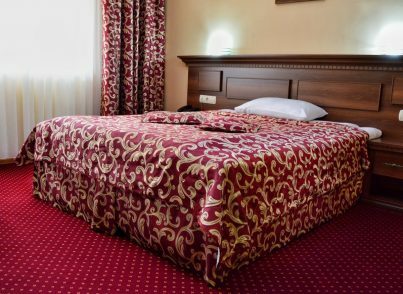 At the request of the guests, the hotel has the opportunity to organize visits to the cultural landmarks in Southwest Bulgaria: Rila Monastery, Rozhen Monastery, Rupite and House Museum of the Prophet Vanga, and others. 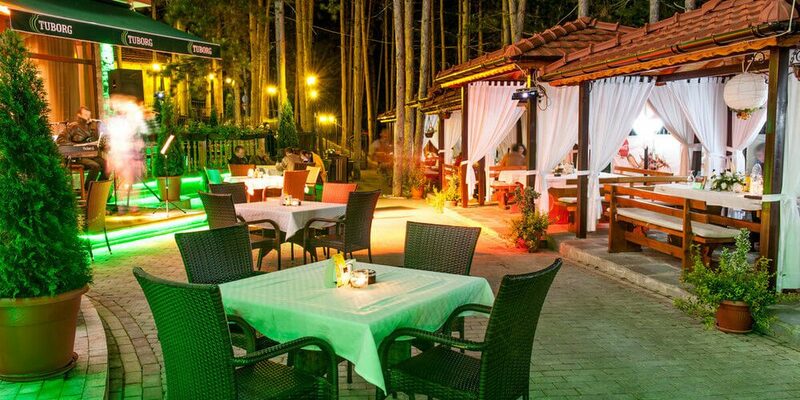 Hotel "Bachinovo Park" organizes themed evenings with traditional Bulgarian cuisine, folk customs, and folk live performances. 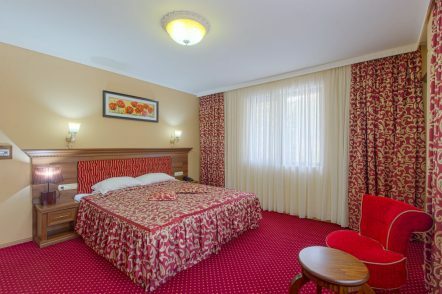 For lovers of winter sports, Hotel Bachinovo Park offers free transportation to the Kartala ski center, located in the Rila Mountains, next to the hotel. The resort offers excellent conditions for all lovers of winter sports and mountain entertainment. 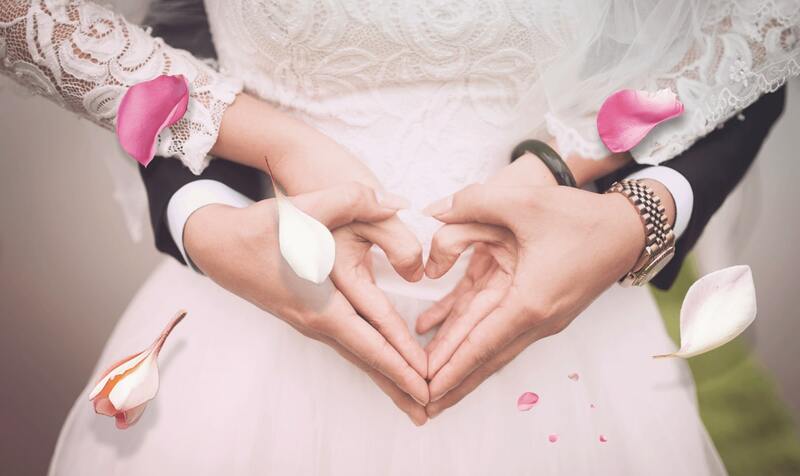 For the most romantic holiday in your life, Hotel Bachinovo Park will make a unique vision for your wedding. 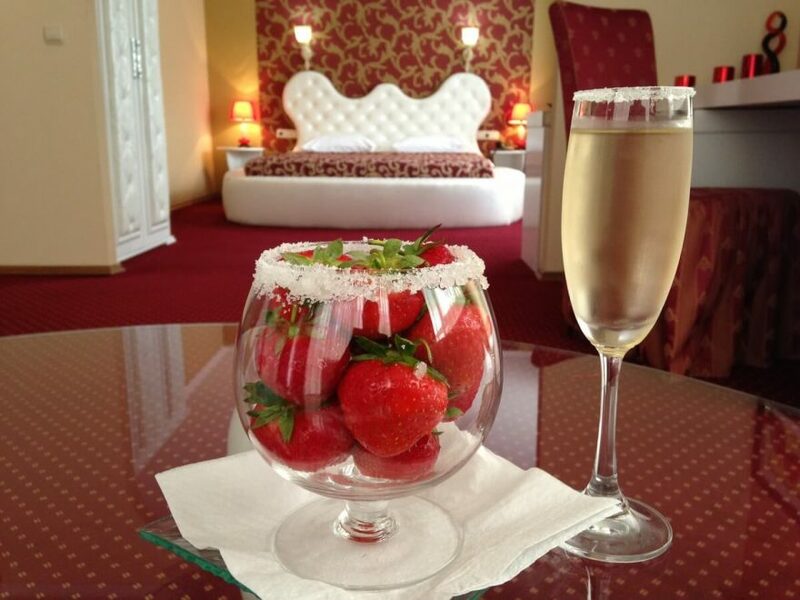 We will take care of all the newlyweds to celebrate this special holiday in an unforgettable and unique way. 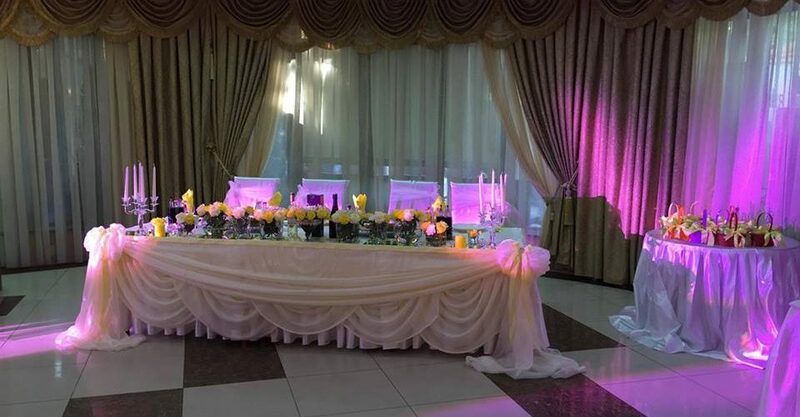 Come to us and we will make your wedding party a fabulous event, a festive atmosphere and a divine decoration, decorated to your liking. We offer a live music orchestra, a DJ, a wedding host, and a variety of rituals. 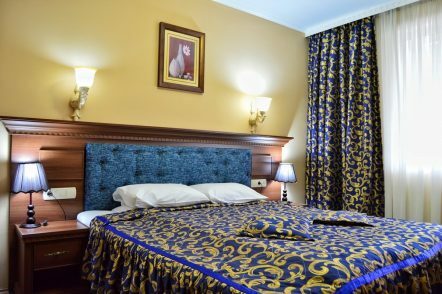 We would be glad to welcome you to our hotel, at the foot of the Rila Mountain, at the address Blagoevgrad 2700, Bachinovo. The satisfaction of our customers is the basis of our quality control and quality system, and our goal is always to surpass your expectations to leave you unforgettable memories. You are always welcome !!! Blagoevgrad 2700, Bachinovo area. 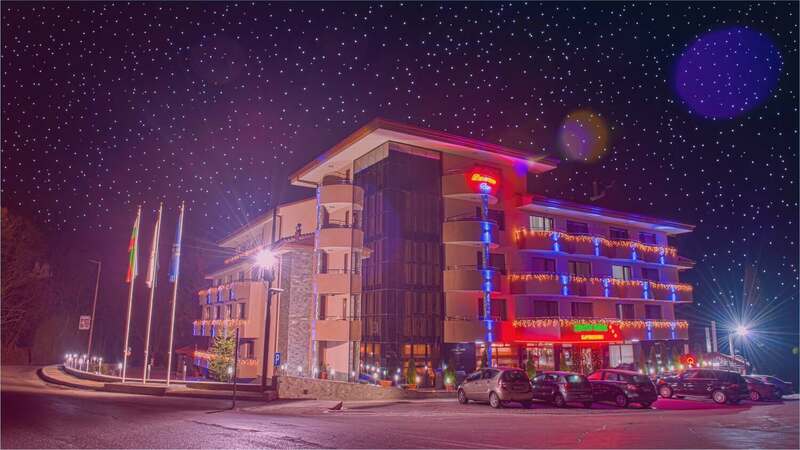 Situated in Bachinovo Park at the foot of Rila Mountain, Hotel Park Bachinovo is 3 km from the center of Blagoevgrad. Aquapark Blagoevgrad – 2.6 km. Ski Area Kartala-18.5 km. Rila Monastery-19.9 km. Cancellation policies vary by room type. Please read the terms and conditions. 30% of the total amount is paid upon reservation.